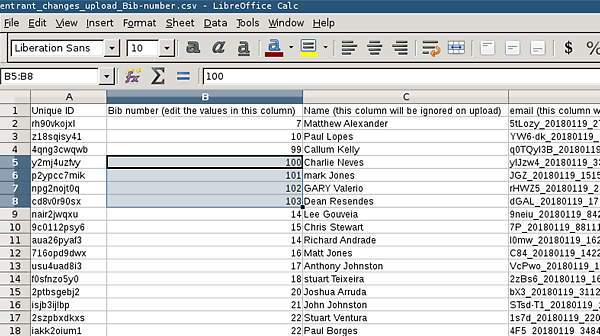 Here's a feature that you might never need, or you might use every day. 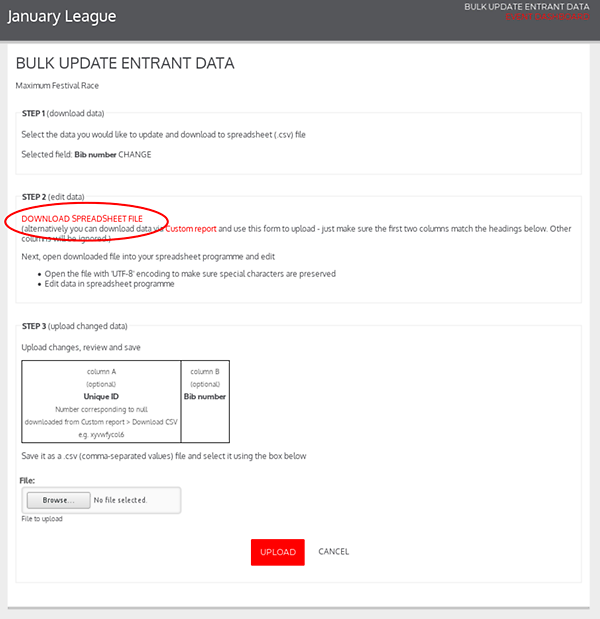 You can download your entrant or membership data to a spreadsheet programme (such as Excel), edit it in the spreadsheet and then re-upload it. We'll work out what's changed, what's been deleted etc. and apply those changes to our database. 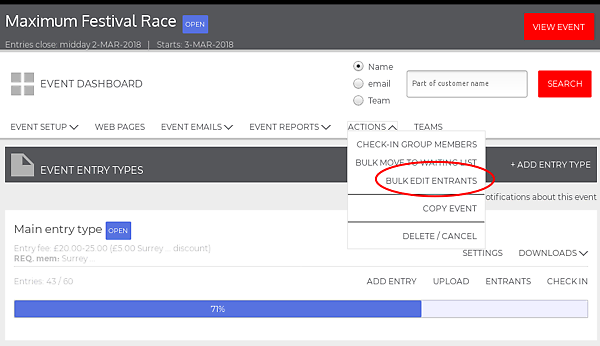 So if you have some complex Bib-number (or membership number) process known only to you, now you can apply it without having to edit entries one at a time. 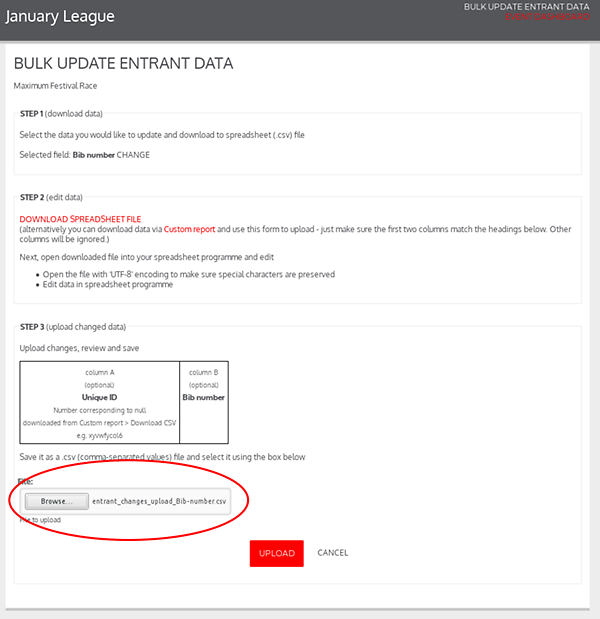 At this point you can either download a file and edit it (see below) or you can use any custom report, as long as the 'unique ID' is in column A and whatever data you have changed is in column B. 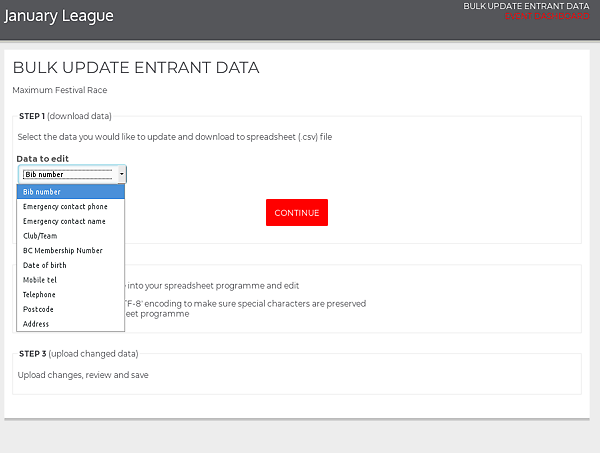 If you're happy, click 'update' and it's done! But there are lots of other possibiilities!